Goals: Modernise the design, clearly convey the company structure and capabilities after a company acquisition and rebranding. WordPress Development, Business Website, Custom Web Design, Hosting. 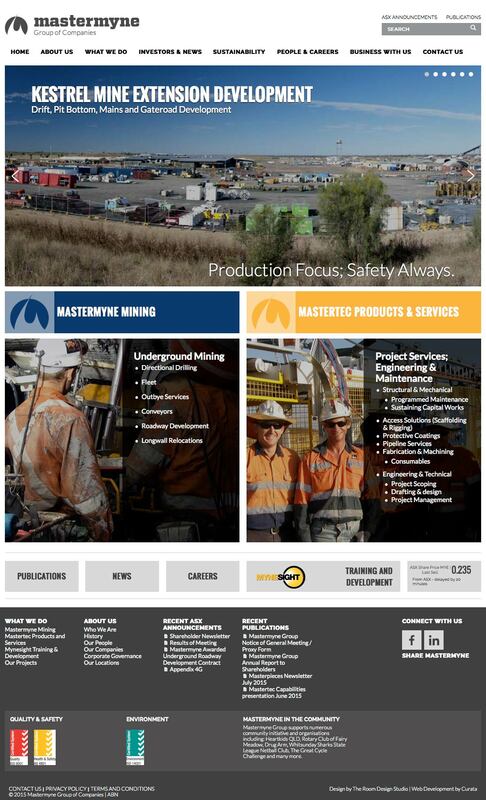 Mastermyne Group is an ASX listed company that provides contract services to the Australian mining sector. 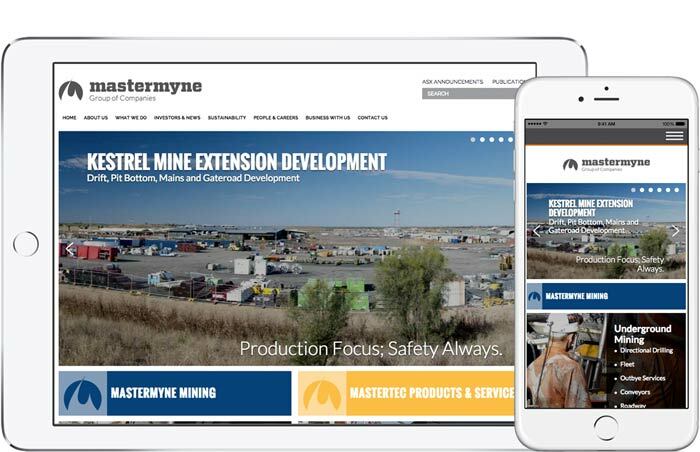 After a recent acquisition, company restructure and rebranding, Mastermyne needed a new website with the goals of modernising the look and feel and clearly conveying the Group’s new capabilities. It was also critical to build the website with a CMS that would allow the site admins to easily update the site content. The old site was severely restrictive in this regard. 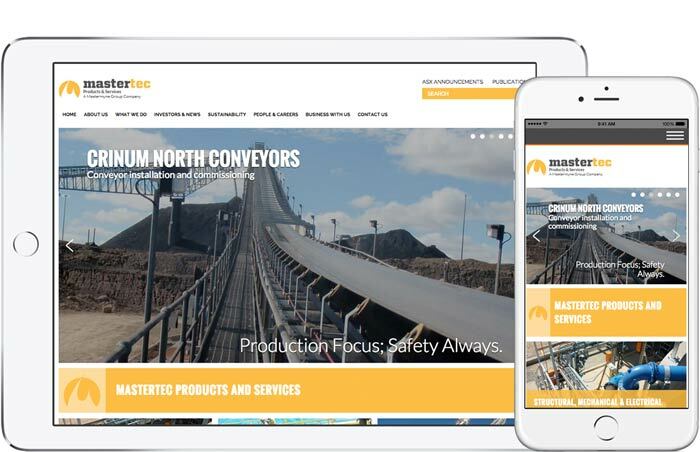 Curata conducted requirements gathering and completed the functionality design including wire-framing of the new site pages templates, while our long term graphic design partner The Room drew up the stylesheets and designs. Curata also provided end to end project management for the project and the site was successfully launched in the first week of May 2015. 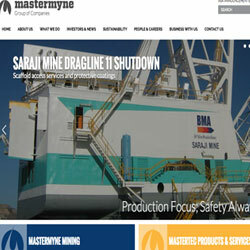 The website features an entirely custom design including two landing pages for the two main business groups “Mastermyne Mining” and “Mastertec Products and Services”, complete with the appropriate branding for each. 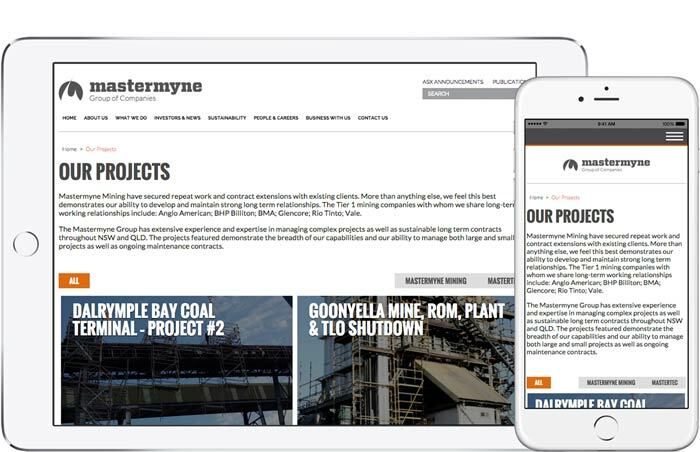 Mastermyne’s high value, high profile projects were also prioritised to demonstrate the company’s diverse range of contract services. Built on WordPress with a highly customised admin panel utilising many custom post types and custom fields for content entry, the website, although quite complex in areas, is easy to update and hard to “break”. Steve, Holly and the team at Curata, did a fantastic job developing our site for Bright Health Training. They were very organised and always available to give advice and assistance when creating our website and content strategy.